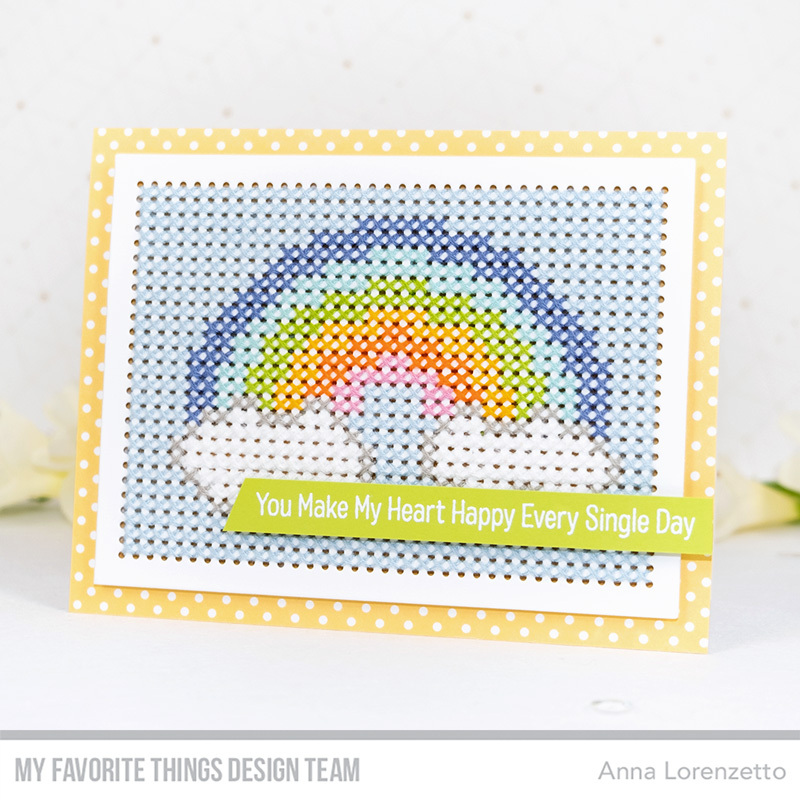 Today I have a super fun card to share with you, highlighting the Cross-Stitch Rectangle Die-namics by My Favorite Things. 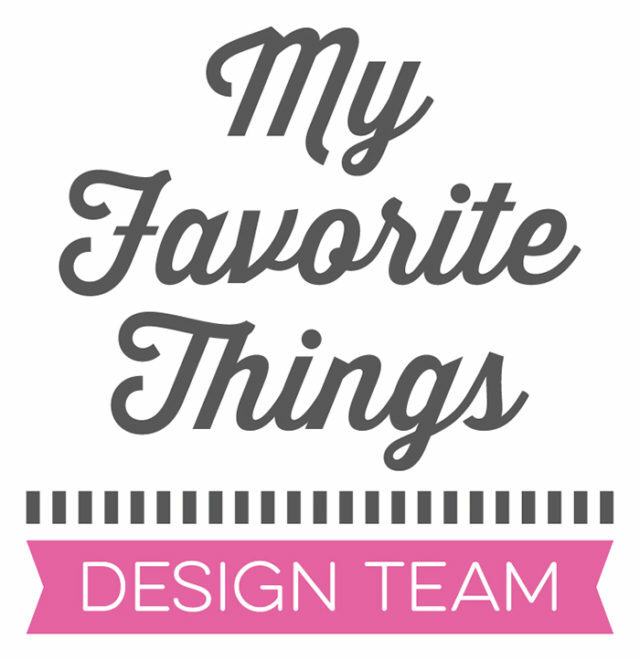 This Die-namics can create a perfect canvas for your stitched designs and I think this is just brilliant! The MFT cross-stitch Die-namics line allows you to create a huge variety of projects, combining your love for stitching with your passion for paper crafting! Such fun! I heat embossed the sentiment in white on a strip of Limelight Prestige Card Stock and foam mounted the stitched panel on a card base, using a dotted patterned paper panel as a background.